Do you remember the Beezee hat, which was released last year? 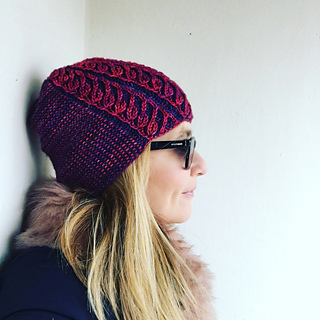 A simple slightly slouchy beanie without a brim. 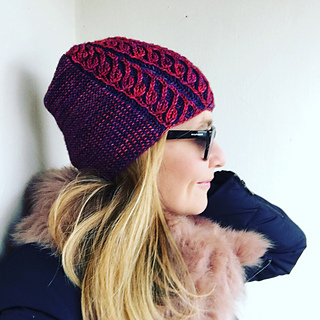 The GROSE hat is made without a brim too, combining brioche and garter stitches in one round. The slightly slanting brioche part is responsible for its asymmetrical shape. You can wear it different ways, it´s also beautiful inside out. Very few pattern rounds are to be knitted and the decreases for the crown are simplified as much as possible! 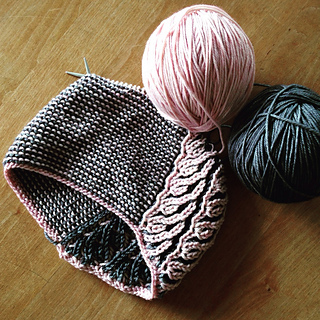 GROSE is a perfect pattern to start two-color brioche knitting and a cozy knit gift for your best friend too. You can do it! 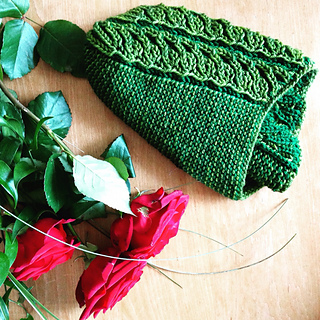 The GROSE hat can be knit in multiple sizes by changing number of stitches, needle size and gauge; Directions for S/ M, L sizes are written in parentheses as follows: S (M, L ). Shown gray / rose hat (M) was knit with Madelinetosh Merino DK / 8 ply (100% Merino, 225 yards/ 206m /100g) in Rose (MC) and Charcoal (CC). You can also use any other DK weight yarn.